Scotch whisky exports look set to suffer a third consecutive year of value decline in 2015 – unprecedented in the past half-century – despite glimmers of hope in some overseas markets. According to Customs figures released today by the Scotch Whisky Association (SWA), export shipments fell 3% in the first half of 2015 to £1.7bn, an easing of the 11% decline recorded at the same point last year. From a high of £4.27bn recorded for the 2012 calendar year, Scotch exports fell back in 2013 and 2014 to £3.94bn – the first time exports had fallen for two years in a row in more than 50 years. However, they remained comfortably above the £3.45bn export figure recorded in 2010. Much of the recent decline has been attributed to volatile trading conditions in so-called ‘emerging’ markets, such as China, Russia, Brazil and India. In the first six months of 2015, exports to Brazil slumped by nearly 30%, thanks to the severe economic downturn in the country and its impact on the value of local currency the real, which has lost more than one-third of its value since the start of the year. A combination of sanctions and a weakening economy has seen Russia drop out of Scotch whisky’s top 20 export markets altogether, while shipments to India were down 11% by value and 8% by volume. However, direct exports to China rose by an encouraging 46% to £22m, and shipments to Japan were up 7.2% to £35m, ending years of decline. 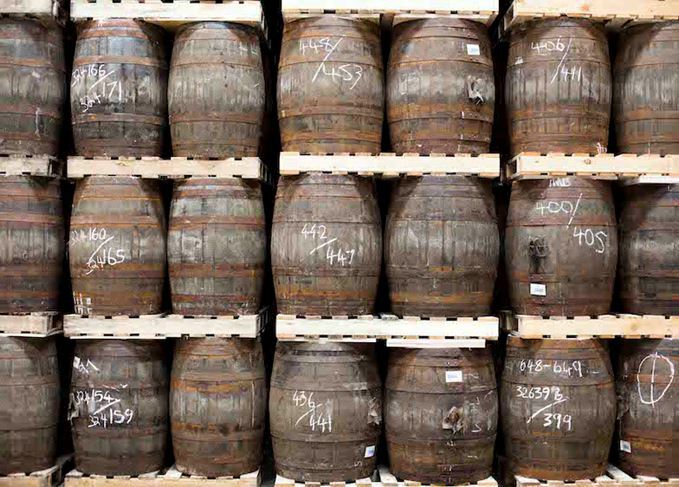 Other bright spots include Mexico – now a top 10 market after shipments moved up by nearly 12% to £43m in the half-year, with single malt exports soaring by more than 70% – Poland, up 45% to £20m, and Turkey, up 28% to £23m. Scotch whisky’s most lucrative market, the US, held steady at £327m, with single malts and premium blends performing well, while similar developments in Canada sent shipments up 20% to £36m. Trends in Western Europe were less buoyant: both France and Spain posted volume increases but value declines, while shipments to Germany dropped on both counts – partly attributed by the SWA to a fall in re-exports to Russia. ‘We had a decade of record growth, there was then a decline in exports in recent years largely because of the slowdown in the emerging markets, but signs of improvement are on the horizon,’ said David Frost, SWA chief executive. The SWA continues to target new trade agreements as a way of opening up markets and improving exports, with the organisation highlighting a refreshed EU-Mexico free trade agreement (FTA), and the resumption and conclusion of FTA talks with India, as top priorities. The figures quoted by the SWA are direct exports, based on the value and volume of product released from bond, and are sourced from Her Majesty’s Revenue and Customs (HMRC). They do not represent direct sales to consumers. Scotch whisky producers are already ahead of commitments to operate more sustainably by 2020. UK Scotch sales fell by 1m bottles after spring duty rise, says Scotch Whisky Association.